The East Coast's second largest surf contest is gearing up for its 10th year in Wrightsville Beach. 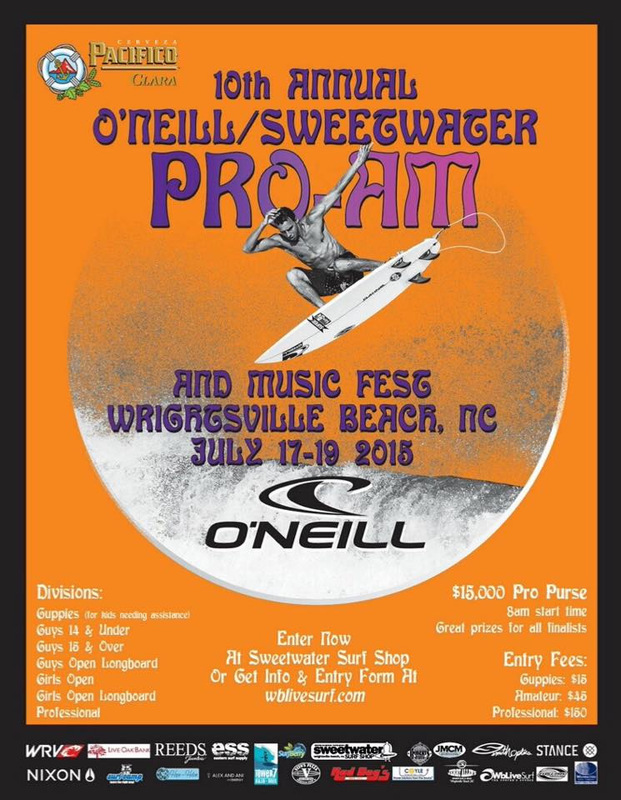 The O'Neill/Sweetwater Pro-Am Surf Fest is set for July 17-19th, 2015, and features nearly 300 of the finest professional and amateur surfers from around the globe. The Pro-Am will be staged at the Birmingham Street Beach Access this year and typically draws thousands of spectators throughout the three-day festival. This year, a $15,000 pro purse is up for grabs, and there are great prizes for all finalists. The action kicks off at 8am each day. This is a great contest for kids and adults alike, with 6 different divisions for both guys and girls. 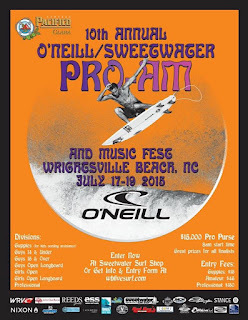 For more information or to complete an entry form, stop in at Sweetwater Surf Shop on N. Lumina St. or visit wblivesurf.com. Ready for the contest, hope they have good waves!